We’ll help you stand out with an aesthetically engaging site that is poised to drive leads to your business and dollar bills to your bottom line. My team applies our integrative approach to marketing and sales to every site and campaign we touch. You won’t pay extra for our advice on how to improve your strategy – and we’ll help you execute our recommendations! websiteS THAT are equal parts beautiful + powerful. When we work with you to design a one-of-a-kind digital powerhouse for your business, you’ won’t be picking between aesthetic design + functionality. You can be sure every product we create is optimized to generate loads of leads for your business AND compliments for your good taste. That’s why word-of-mouth referral is still the number one way we get business! Ideal for a business just getting started, let us customize one of our beautiful templates for your business! Customized for your growing business. You’ve been around a few years and need to step up your digital game, and we can help. Fully customized WordPress site, list and business growth tools implemented and automated on your site. we’re not done ’til you love what you see. One thing ties all my best clients together: they are creative and they have a vision. They have a discerning eye. They know what they like when they see it. They’ve usually tried a few times to get things right on their own or worked with someone who claimed to be able to execute. 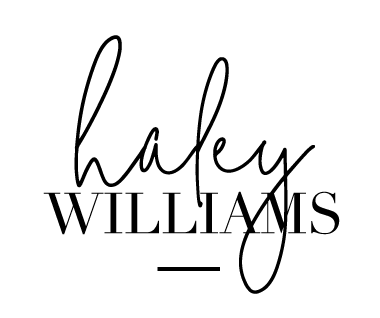 Ultimately, they turned to H. Williams Creative because they simply were not willing to compromise their vision and aesthetic. After they hire H. Williams, I typically hear a deep sigh of relief as they know they are finally in the hands of someone who will see to it that their vision comes to life. I take your business as seriously as I do my own, and this is our commitment to our clients.